We regularly hear opinions from pundits who are very good at making nonsense sound plausible, even clever. It’s still nonsense of course, but with the right window dressing it looks very sharp indeed. 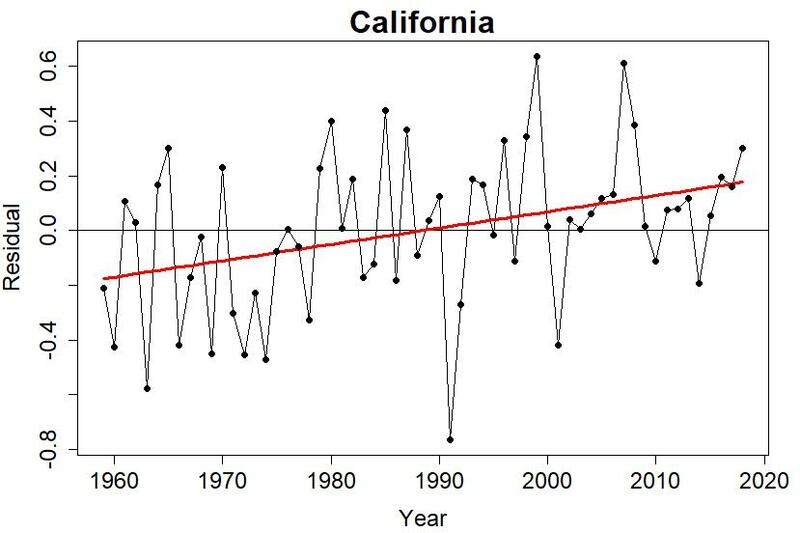 Such are those claiming that the increase of wildfire in California has nothing to do with climate change, and maybe even nothing to do with how much rainfall the state gets. When we do so, we find that a straight-line increase (shown as a red line) is a good approximation of the trend. It’s important to log-transform the area burned, in order to bring the ever-increasing noise level under control. It’s easy to blame that straight-line trend on climate change, but from this data and this data alone, without other information such a conclusion would be premature. Yes we’ve seen higher temperatures in California and we expect that to promote wildfire. 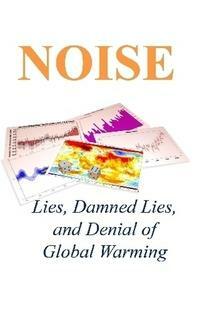 But other things have trended too, including factors that don’t necessarily relate to climate at all. 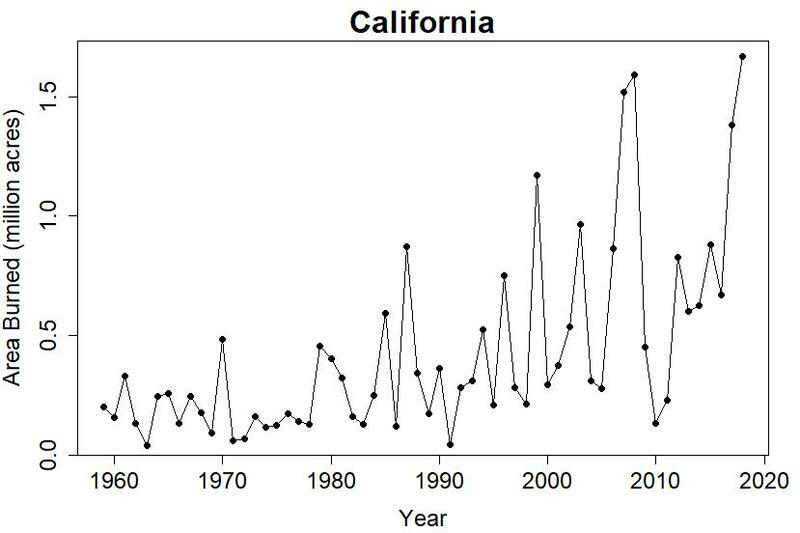 All we know so far is that wildfire area burned is trending upward — which of the upward-trending variables are the root causes (there can be more than one) remains an open question. Perhaps it’s no coincidence that years with below average rainfall and above average temperature dominate the big-wildfire list. Perhaps just as relevant, this model also confirms the statistical significance of all three variables. So yes, temperature and rainfall both have a significant effect, and there are other things contributing upward trend as well. 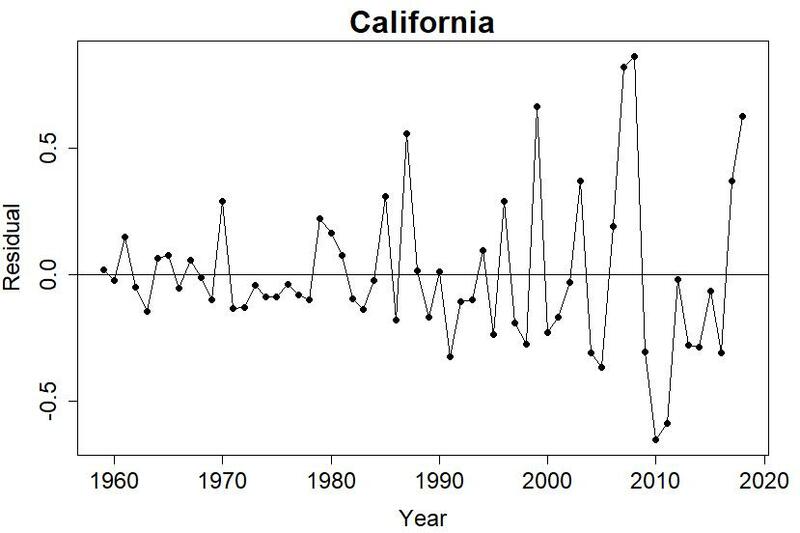 As easy as it is to show the temperature/rainfall impact on wildfire in California, this only scratches the surface of what we find in a rich literature on the whole topic. 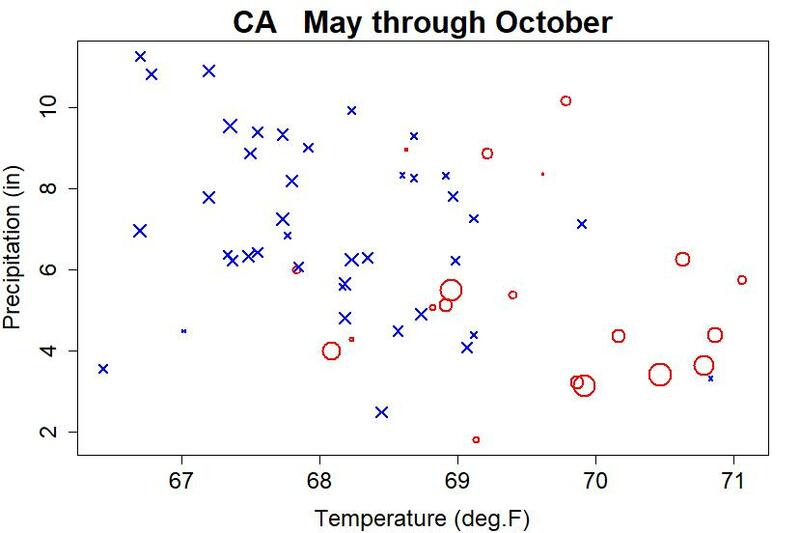 For instance, the May-through-October temperature isn’t necessarily the best choice for some regions or ecosystem types. The timing of spring snowmelt influences the dryness of fuels, as does the number of days with zero precipitation (esp. consecutive days). Some impacts aren’t felt in the year they occur but in the year following, particularly those that can influence the availability and dryness of next year’s fuel load. So it’s a lot more complicated than just the May-Oct average temperature and total rainfall. Yet the recurring theme is simple, that hotter and dryer means more flammable: there’s little doubt, none reasonable, that higher temperatures and lower rainfall make wildfire seasons worse. 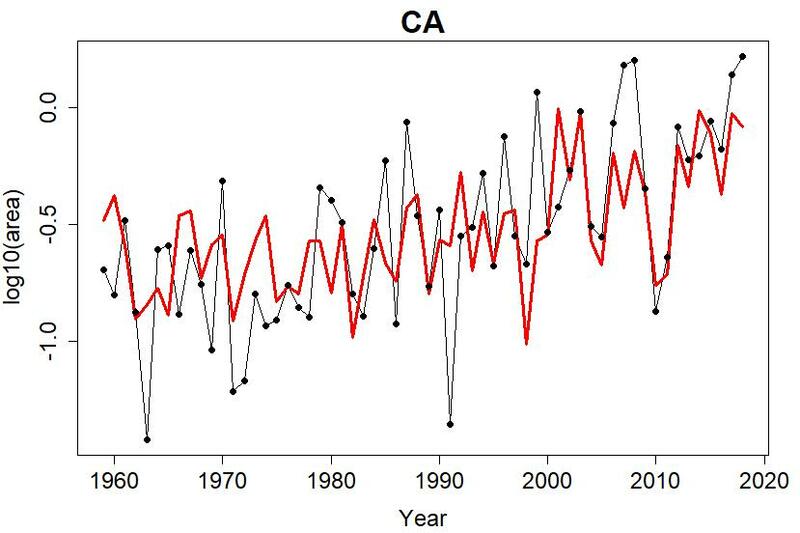 Alas, there’s no doubt that man-made climate change is making California temperatures higher and drought worse. And not just California; both climate change and increased wildfire danger have spread throughout the western U.S.A. I have no idea what you mean here. Could you spell it out more, please? What is actually being graphed? 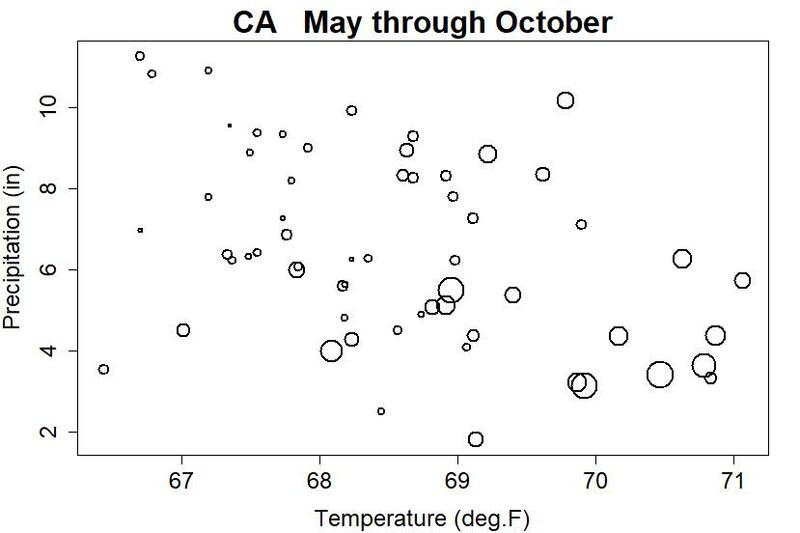 x axis = linear combo of time, temps (seasonal), and rain (seasonal) from multiple regression procedure. Tricky part conceptually is separating out what time represents here independent of any general temps/rains increases/decreases since regression partials out correlated variance in the predictors. Well, maybe. But the X axis is only labeled “year”. And those other variables are not dimensionally equivalent to “year”. And anyway, what is the actual linear combination that was used? I’d be more inclined to think that the *Y* axis was a linear combination. In any case, I can’t decipher what the axes represent. [Response: The x-axis is time. The y-axis is the logarithm (base-10) of the area burned by wildfire in CA that year, in millions of acres. My reaction was similar to yours. Relabelling the axes seems to be in order, either by explaining that the areas have been normalised by some model-based index, with details added, or by including the dimensionally correct units. Log-area vs years does not seem to be an adequate account of what is shown. My guess would be that the y-axis is the one that has been normalised/adjusted, but that needs to be made explicit. They find a strong correlation between March-August temps and area burned (though other factors also matter, of course). This October 2016 PNAS paper found that climate change has doubled the area affected by forest fires in the Western US in the last 31 years. Lead author John Abatzoglou said: “A lot of people are throwing around the words climate change and fire – specifically, last year fire chiefs and the governor of California started calling this the ‘new normal’. We wanted to put some numbers on it”. At least here in Central Texas, the worst-case scenario is a wet spring producing a lot of vegetation, followed by a relatively hot and/or dry summer. That’s basically the scenario I heard about in reference to CA, when the drought first broke in the winter of 2016-17. Lots of new growth, which then dried out to become lots of new fuel. Sorry, don’t recall the source. In the latest statement from the moron who sits where a President should be, he contrasts the experience of California with – of all places – Finland. I suspect anyone who isn’t descending into senility can appreciate that Finland’s geographic position gives it a very different climate. I’ll keep on banging the same drum I usually do – I believe that increasing CO2 in the atmosphere does cause vegetation to grow faster (provided there is water etc). And that is why I think your fit works better when time is included – time is a proxy for CO2 level, and hence the amount of vegetation. Liebig’s Law of the Minimum. By all means. But what if CO2 is the scarcest nutrient? It certainly won’t be in many situations, but there is a chance that in some situations it is. Certainly it is added in some greenhouses. But I’d be happy if someone comes up with another reason why adding time improves the fit. Greenhouses that add CO2 also add fertilizers containing other ingredients. Deniers always neglect to mention this 2nd point. I found this by searching on eucalyptus, because here in Australia that is what burns best, and I can’t imagine California is too much different. Wow… starting to think that Cliff Mass didn’t start his version of the first graph in 1987 and end it in 2016 by accident. 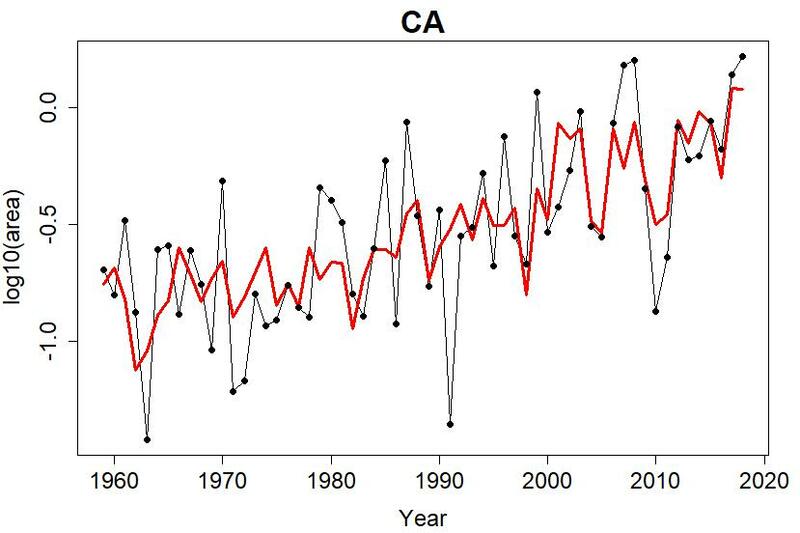 Another point that’s been nagging slightly: from what I’ve been hearing, a prominent aspect of the changing climate and its impact on California wildfires has been the extension of what used to be a relatively well-defined fire season. That’s particularly relevant in the present instance, obviously, since we’re talking about a wildfire outbreak doing record amounts of damage *in early-mid-November*. So, what patterns do we see outside of the May-October ‘bin’? I actually tried to take a quick-and-dirty look at that myself, just for November values, but got lost amid the voluminous NOAA pages and ran out of time to search further. 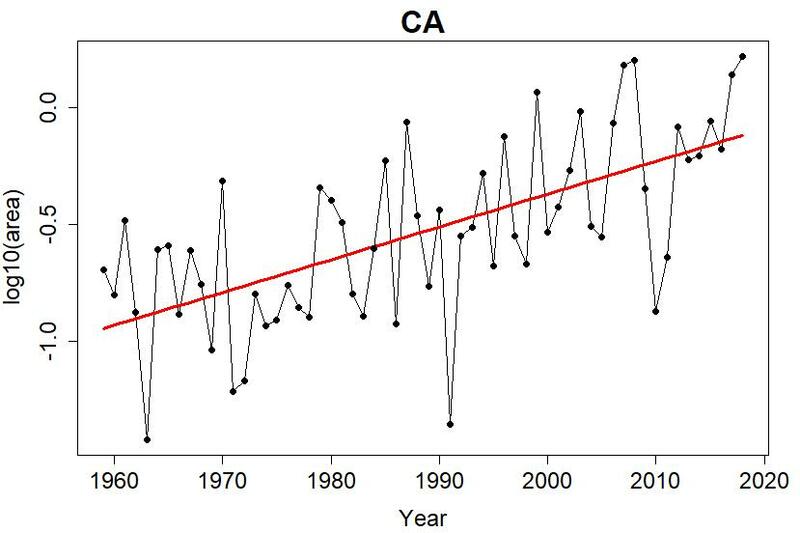 Looks promising… Bottom line, just in case: November temperatures for the entire state of California have increased at 0.1 F/decade since 1895, which is modest relative to global trends, but still amounts to over 0.7 C total. A modest drying trend over the same period–0.01 inches/decade, for a total decline of just over a tenth of and inch. I’m not too sure how to evaluate the very obvious trend there, but the numbers are that PDSI has declined at 0.08/decade, for a total decline of close to 1, from a mean value of -0.19. More dramatic, with a decline of 0.15/decade. Not quite as dramatic, at -0.11/decade, but still very obvious. By the way, it’s worth keeping in mind that the acreage burned every year is strongly affected–historically speaking, that is–by modern fire suppression technology and practice. Far and away the biggest influence, human or otherwise, on acreage burnt has been firefighting. I did note the caveat they have–and while it makes sense that there are hefty uncertainties in that old data, an order of magnitude leaves lots of room for ‘slop’. And, after all, that was just a blog comment–not even an actual post! That said, thanks for furthering the point. Good to know. “While the early 20th century data is not reliable and likely double or even triple-counted actual fires, Eardley says that it is possible that fire extents were higher back then for a simple reason: there was no large-scale firefighting organisation in the first half of the 20th century. Therefore, fires would burn through larger areas before being extinguished or burning themselves out, particularly when they were not close to towns or settlements.